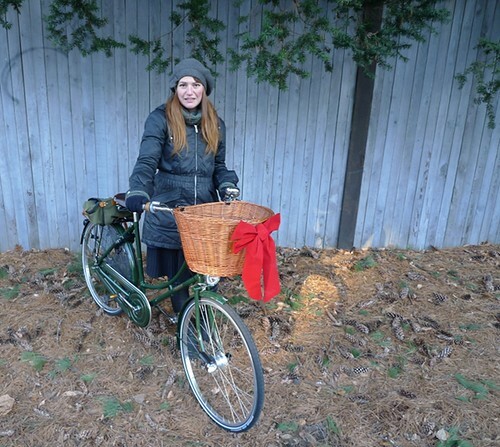 Lovely Bicycle in Boston gets her Pashley dressed up before the first snow. 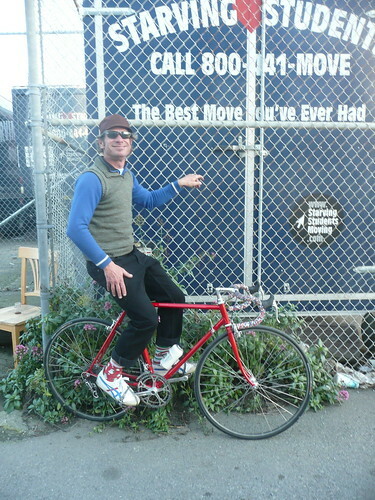 In north Califas Greg is out on a christmas stollen ride with velo fanini- blessed by papa john paul. 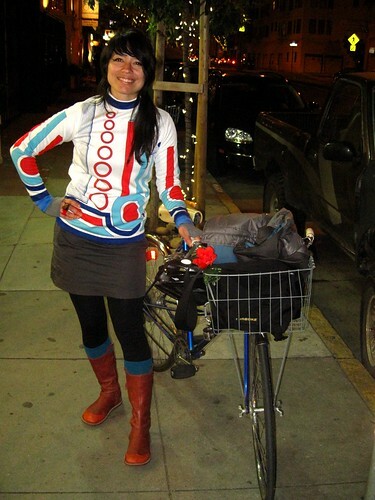 Our friend and fave, Meligrosa of Bikes and the City, cute as always and hungry for FOODZ. 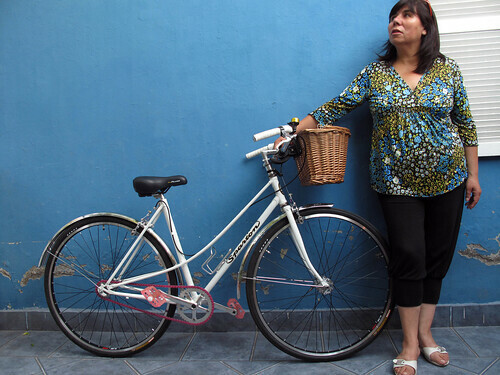 and our friend Mariela in Chile, pictured with her sparton mixte, reminds us that it's summer in the southern hemisphere!